Summer squash isn’t particularly tasty. It’s not got much of a stand out presence, but it does work pretty well in this lovely risotto. I ate it as a side to a steak which was a great winter meal. I however am in the midst of summer so my seasonal cooking is a little askew. But as most of the civillised world is currently experiencing winter this will suit you down to the ground. 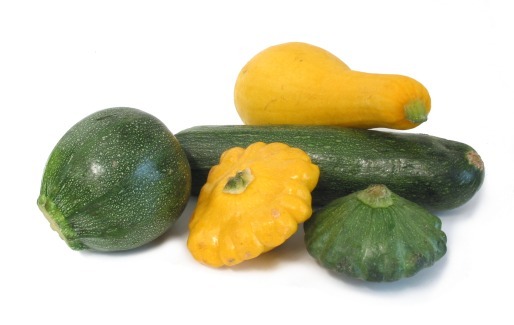 Summer squash in winter? It’s all very confusing. Heat the stock and keep it hot over a low heat. In a large frying pan, melt 40g of the butter and fry the onions until they are soft and golden for about 4 minutes. 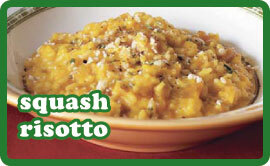 Add the diced squash and stir for 2-3 minutes. Add the rice and stir for 1-2 minutes until all the rice is well coated with butter. Ladle in one serving of the stock and simmer gently until all the liquid has been absorbed. Stir constantly. Ladle in another and repeat this process for about 20 minutes then add the remaning sliced squash. Cook for another 2 minutes or until the rice is cooked. It should be soft, but with a little bite and the consistency should be very creamy but not too runny. Remove from the heat. Stir in the remaining butter and parmesan cheese to make the rice even more creamy Season well with salt & pepper. If the rice begins to get a bit ‘claggy’ then add a little more stock or warm water to keep it moist. and season well with salt & pepper. I ate it alongside a steak but it’s fine on its own with bread and salad.